I have a couple of pretty amazing soccer-playing nieces - and the "Goal!" 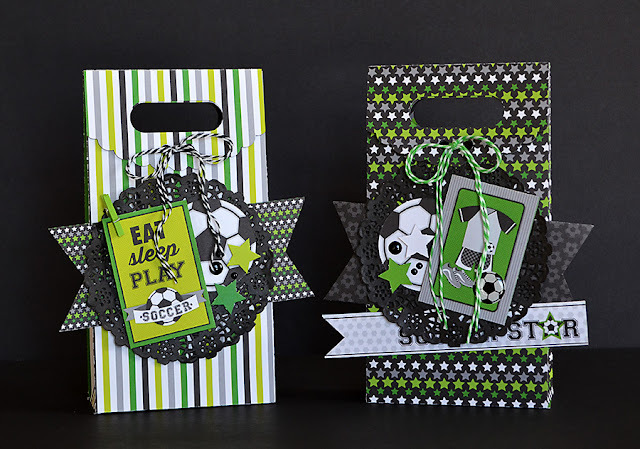 collection is perfect for making some little gift bags for them! I used a silhouette shape for the gift bags - any gift bag will work - just use the awesome patterned papers for the base and you can't lose! OR you could use the papers to embellish a pre-made bag if you prefer! I used some black paper doilies as the base for the embellishment collage on the front of the bags. 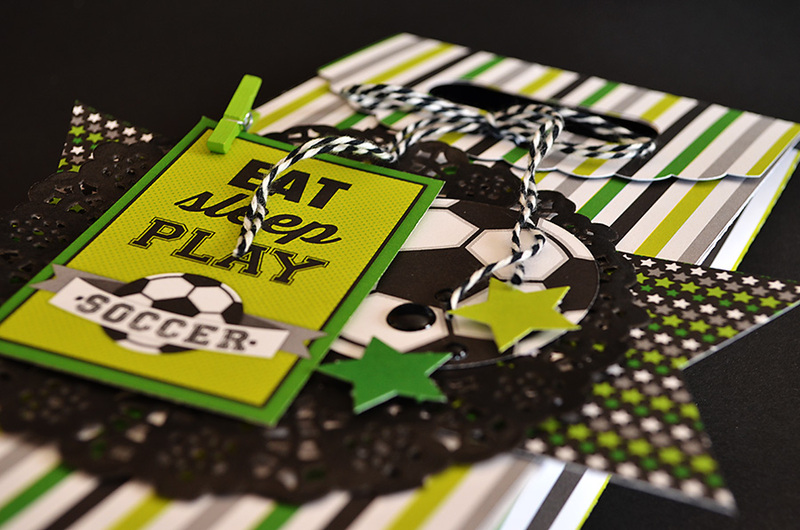 Of course, the soccer balls are die-cuts from the collection and the rectangular tags are cut from papers in the 6x6 pad. I added stars with pop-dots and some black sprinkles for interest too! 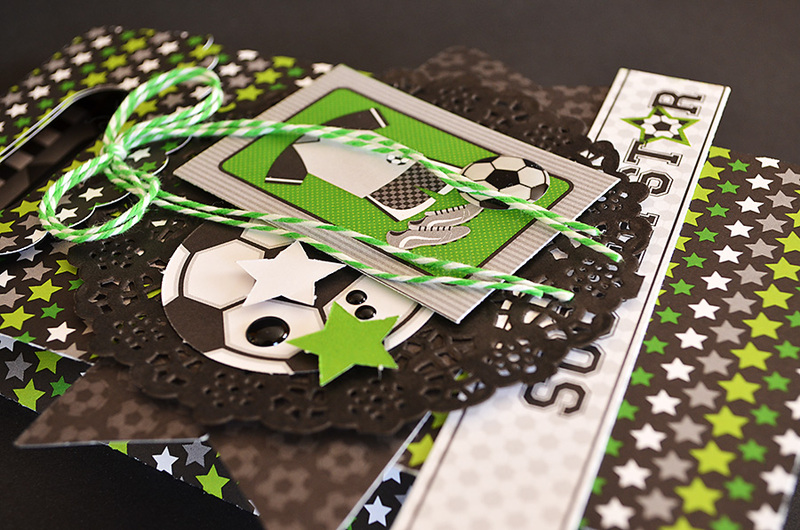 A few additional banners cut from patterned papers, and a bow at the top with colorful doodle-twine is the perfect way to tie everything together! These are awesome Wendy Sue!!! Oh my gosh these bags are too cute!! This is one of my favorite collections for sports. The projects made from it have been fabulous and fun. 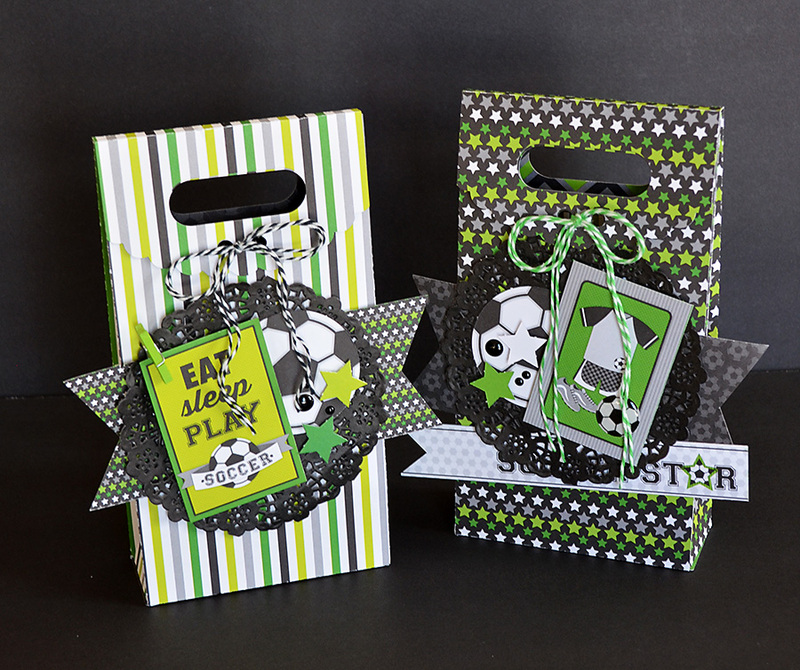 With nieces playing soccer, it's a must have for my craft stash. Love it, and can't wait to find it in the store. Totally adorable treat bags, love the fun embellies you added! The doilies are such a fun accent too! Very cute project Wendy Sue! I will be scrap lifting this for sure! So nice Wendy Sue!! Love them, this collection rocks!! !